Stirrup leathers are soft leather, fully nylon lined. The nylon lining ensures the stirrup leathers won't stretch. 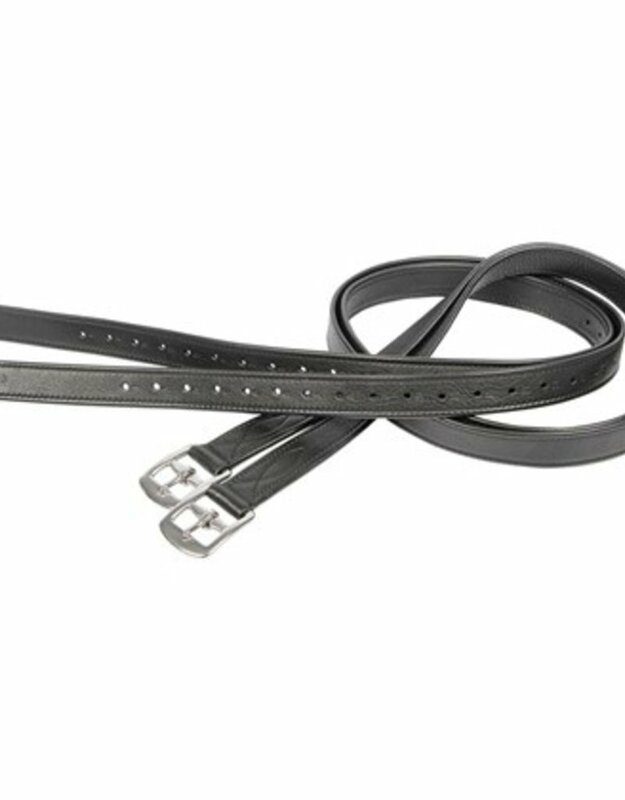 The stirrup leathers have stainless steel buckles.